The CMS will not continue an experiment that saved Medicare millions of dollars by reducing the use of non-emergency hyperbaric oxygen therapy. The treatment uses pressurized oxygen to help expedite wound healing, particularly for diabetic wound care. Since the CMS launched the experiment in 2015, its spending per beneficiary per quarter dropped by $60, according to a report released Monday by the CMS. Federal data shows the experiment saved the government $17.6 million by 2017. Only Illinois, Michigan and New Jersey participated in the prior authorization experiment for non-emergency hyperbaric oxygen therapy. Those states were chosen because of their high utilization and improper payment rates. The demonstration ended in February 2018, and the savings it generated didn't harm quality of care, according to the report. Nevertheless, the CMS doesn't plan to extend or expand the experiment. The CMS "agreed that the model realized savings but noted that other strategies can be considered in the future to achieve similar or greater results," the report said. The experiment increased providers' administrative burden, according to the report. Nearly 84% of clinical facilities interviewed for the report said the prior authorization increased the time spent on administrative duties by staff. Medicare administrative contractors used a two-tiered review process to evaluate whether prior authorization requests were technically complete and if the patients met the medical criteria to receive the treatment. But that process was inefficient, providers said, and they had to provide additional information multiple times for the same prior authorization request. "Some (hyperbaric oxygen) providers reason that the prior authorization process takes up time and resources that could otherwise be allocated to clinical care and feel that the prior authorization process reduces their administrative efficiency," the report said. 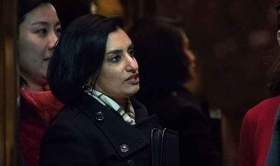 CMS Administrator Seema Verma has said she wants to reduce providers' administrative burden when possible. Future efforts to lower spending for non-emergency hyperbaric oxygen will take administrative burden into consideration, according to the report.